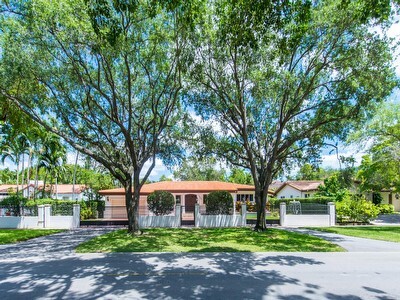 Alba and I are pleased to announce that we have just sold 4350 Douglas Rd in Coconut Grove. We represented the seller and the buyers in the transaction. The propetry sold for $620,000 and it was a cash deal. Welcome to these new Grovites! This elegant 5 bedrooms, 4 baths and 1/2 built in 2007, 4,271 Sq/ft of living space will be open to the public Saturday July 2nd from 1PM to 4 PM. 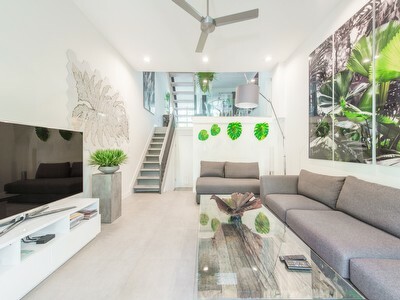 For more details go to our "Featured Property" section of this website. June and the tropical heat are upon Coconut Grove. The city is quiet, the traffic wonderfully light and our gardens are in full bloom. Although this address is technically in Coral Gables, the house accross the street is in the Grove. Because this is such an encouraging sign, literally just a few feet from the Grove, I had to mention the sale. This is also in the Gables, but again just feet from beautiful Coconout Grove! Most of these sales closed at above $300 Sq/Ft....encouraging? Of Course!!!!!! Coconut Grove is very well known for its quaint, charming old cottages. One of them came on the market last week. Located in South Grove at 3571 Linden Street, it offers 2 bedrooms and 2 baths with 1,668 Sq/Ft of living space on a 8,800 Sq/Ft lot. It is offered at $495,000 and is listed with Nerisse Trombeta at EWM. It is still possible to enter the South Grove market with an investment of $400,000. The market is gaining momentum and I advise my buyers not to delay their purchase. In few months, an investment greater than $500,000 will be necessary to purchase a "piece " of South Grove. Contact me if you would like to work with a knowledgeable Realtor. Isabelle and I often have lunch at Green Street Cafe, located on the corner of Main Highway and Commodore Plaza. It is close to our office, and so we always walk - usually walking quickly because that's how things go in real estate! Once we are seated, Isabelle always declares in her French accent, "We live in paradise!." I could not agree more. Green Street Cafe is part of the Coconut Grove lifestyle that you simply cannot find elsewhere in Miami. People come to enjoy time out from a busy day, or just relax with friends surrounded by the lush tropical decor. Ready to move to the Grove? 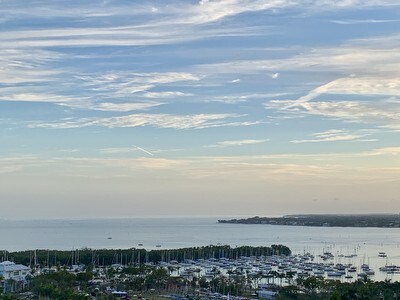 Call us or visit our website dedicated only to Coconut Grove, www.groveexperts.com. Is it too early to announce a real estate market recovery? The numbers cannot be ignored, and Alba and I have given very encouraging numbers in earlier blog posts. For example, last week we announced that we had listed a property located at 4001 Park Avenue in South Grove. Only a week later, we are pleased to announce that the property sold with a full price cash offer! The house has 2,049 Sq/ft of living space. It sits on a 11,994 Sq/Ft Lot. Built in 1955, the home has 4 bedrooms and 3 baths. The home sold for $849,000 on May 19th, with the seller receiving $414 per Sq/Ft! The "for sale" inventory is shrinking and the sold prices per square foot are showing some incredible peaks. Alba and I agree that the market is showing some very strong momentum. Learn more on our website at www.groveexperts.com.